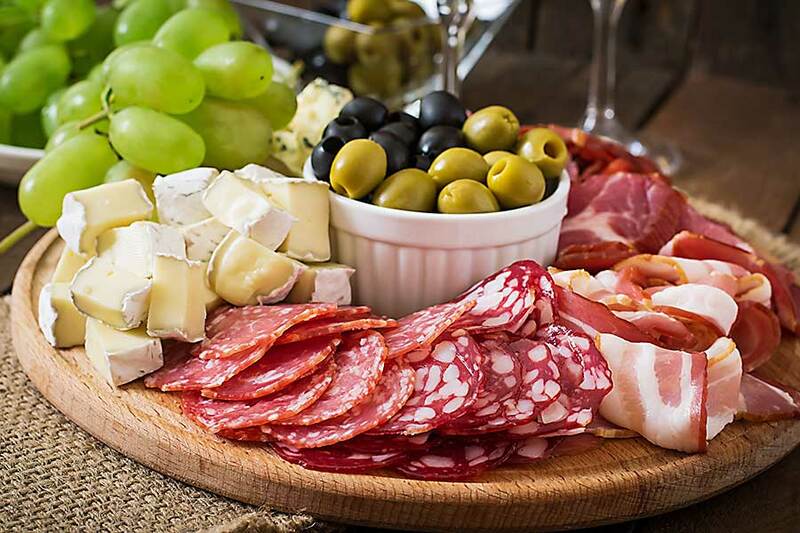 Antipasto or antipasti is a selection of fantastic of appetizers. In Italian cuisine, the tradition is that every dinner is preceded by antipasti – a wide selection of fantastic, simple and tasty appetizers. In addition to taste, their main advantage is the speed of preparation. 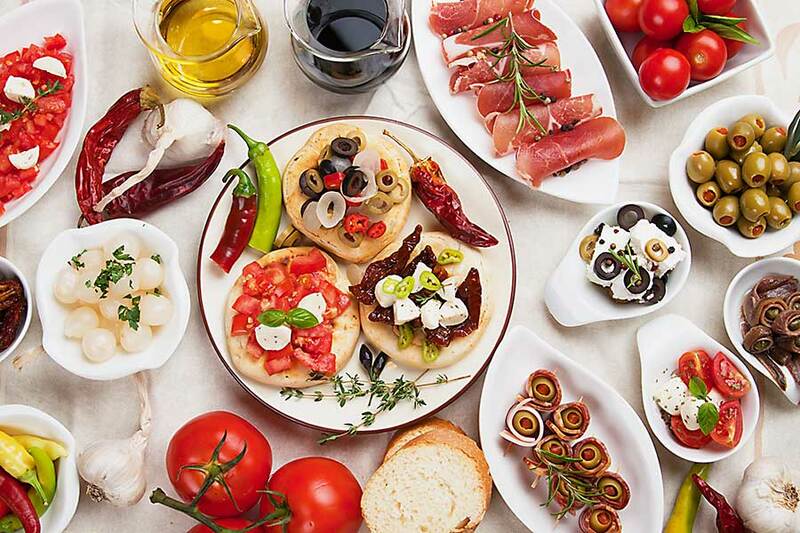 Antipasto is a variety of flavours, colours and consistency. 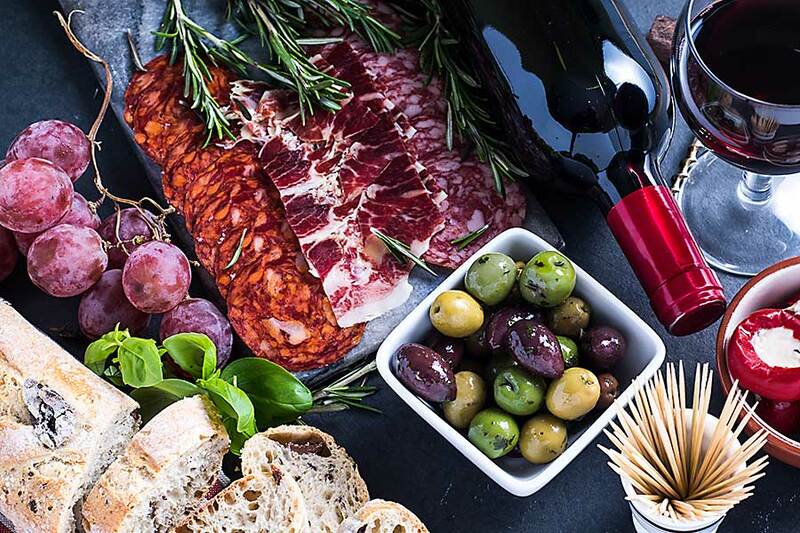 The products that Italians use to compose the antipasti are in themselves so delicious that it is enough to cut them into smaller pieces and lay them on boards or decorative trays. The art in the preparation of antipasto is based on an interesting combination of simple ingredients. They are served in small portions, the antipasti composition usually includes dried tomatoes, various cheeses, cherry tomatoes, olives, mushrooms, anchovies, artichoke hearts, prosciutto. The most famous Italian antipasti are Insalata Caprese – a salad made of fresh mozzarella, tomatoes and basil. Carpaccio – a side dish of beef sirloin, parmesan and rucola. Bruschetta – toasts with different stuffing: cocktail tomatoes and mozzarella, tuna, olives. Olives in herbs – prepared on the basis of olives and various herbs: basil, oregano, thyme. Prosciutto con Melone – pieces of melon wrapped with Parma ham, or prosciutto.